This flurry of activity from Adobe is encouraging, but some developers need convincing that the company won’t return to its old web tricks. ‘The Edge suite has a lot of potential, but only if Adobe doesn’t fall into its habit of creating “magic button” solutions that cater to the lowest common denominator,” argues user experience designer Aral Balkan (aralbalkan.com). 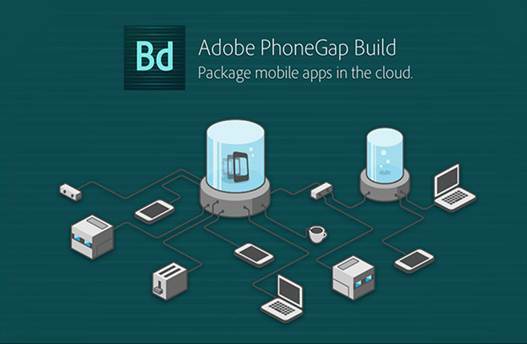 Balkan cites PhoneGap Build now part of the Edge suite, despite the lack of an ‘Edge’ prefix as a product that he already finds suspicious, being ‘one of those technologies that’s meant to entice middle managers with promises of low cost and high return on investment’. 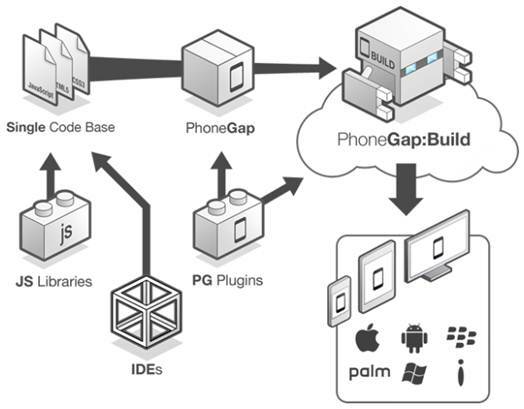 Balkan reckons the best experiences are found with the finely honed scalpels, not the one-size-fits-all hammers: ‘With PhoneGap, it’s a case of “just press the button” and, magically, you’ll have a native app that runs on a bunch of different devices and platforms. Never mind that it doesn’t conform to the native culture and conventions of those platforms. It runs! Eureka! Throw the geek another banana!” Anyone who’s used an iOS app that’s been ported from another platform without being made to feel iOS native will know the frustration. Edwards’ reservations extend to Edge in general. ‘It’s just feels like Adobe no longer offers the indispensable tools it once did.’ He points out that there’s no shortage of competition, in part because of Adobe’s late showing in the ‘next web’ game. ANOTHER POSSIBLE CRITICISM of Edge arises from Adobe’s decision to put a bunch of disparate web tools together and weld them to Creative Cloud, its online digital hub/app subscription service. As Motto points out, no one ‘uses the entire Creative Suite to design a logo, and so you shouldn’t have to use the whole Edge suite to create a website either’. Lobb counters that Creative Suite is akin to (of all things) Spotify, in your ‘not having to um and er about each purchase – it’s an all-you-can-eat buffet that also encourages you to try out new things you might not otherwise go near’. The inclusion of video and audio editing tools is already expanding the horizons of graphic designers and publishers, who find Creative Cloud cost-effective simply as a way to buy Photoshop, Illustrator and InDesign but get other media thrown in, not to mention free single-issue digital edition apps. What’s not so clear is how immediately useful the Edge tools will be to designers accustomed to basic HTML + CSS workflows or those trying web design for the first time; these apps aren’t quite the kind of thing you can just pick up and dabble with to see what happens. Moving on from the innocent dream of wysiwyg web design means accepting a steeper learning curve and more complex processes. Of course, some of those tools are legacy ones. And with Edge Code offering high-quality hand coding, Reflow tackling visual site design in a modern fashion, and Edge Inspect pushing site testing to the next level, there appears to be a Dreamweaver-shaped elephant lurking apprehensively in the corner of the room, hoping nobody notices it and shows it the door. Cole assured us that Dreamweaver ‘remains an industry-leading all-in-one web design tool that designers and developers continue to use to create and edit websites and mobile applications’, although in reality we’ve been hard pressed recently to find a prominent web designer using it. He argues it ‘certainly still has a place with pro designers and should not be viewed as an enterprise-only tool’ – a statement that might lead even more observers to wonder if Dreamweaver should perhaps be viewed as an enterprise-only tool. Although it’s technically true that Dreamweaver and the Edge tools can work together, it’s hard to picture a future where the ageing giant remains relevant. Cole himself notes that the web environment is now ‘so fast-moving that new frameworks are being created all the time, designed for different use cases and development styles’. He believes you shouldn’t be limited by your tools, and the Edge suite has been produced with this in mind: ‘One product would not meet the needs of today’s designers and developers in the same way that smaller, focused products do.’ Well, quite. 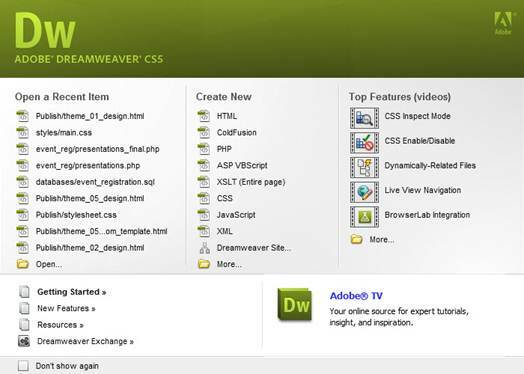 The writing does seem to be on the wall, then, for Dreamweaver, although existing users will be pleased that Adobe isn’t ready to consign it to oblivion just yet. What really matters is that the obsolescent tools in the company’s portfolio are being replaced with something new and relevant. And despite some concerns, it looks as if the Edge suite could propel Adobe to the first rank of toolmakers for the next web.